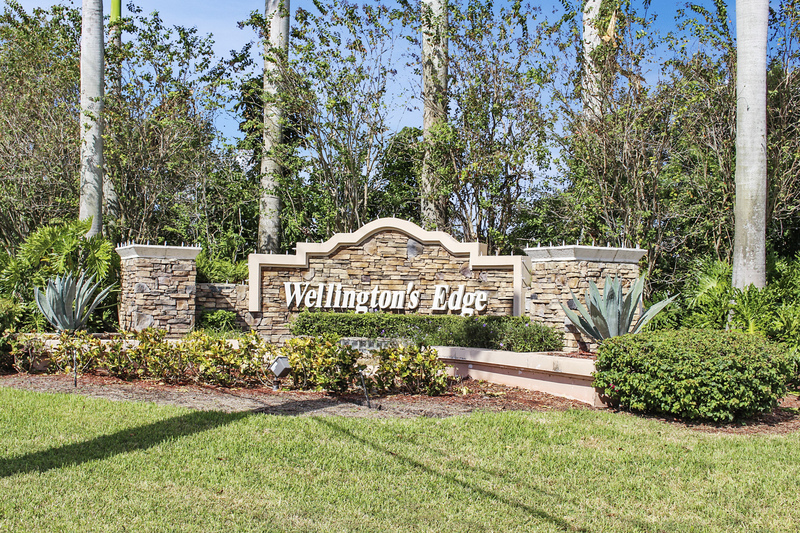 Wellington's Edge is a gated community that provides security to over 504 single family homes, townhomes and villas. One of the great thing about it is that it is surrounded with wonderful water view. Wellington's Edge is located at one of the top 100 places to live according to Money Magazine. Top rated Wellington schools are also close by along with Palm Beach International Airport and the Florida Turnpike. Search all homes for sale, just like an agent. Our free, one step registration allows you to bookmark your favorite houses, save search and receive emails as soon as new homes in Wellington's Edge come on the market. Wellington's Edge are divided into four different sub-developments; Estates at Oak Hamlet, Carriage Brooke, Brighton and Pelican Key. Each offers a wide range of different homes, townhomes and villas. Most of the homes are situated on a beautiful water view.